More than 15% of patient groups have already co-created apps with pharmaceutical companies. Research by PatientView as part of Deloitte’s report ‘Pharma and the connected patient’ confirmed that patients see patient groups as the most trusted source for health apps. By contrast, only 2% of respondents rated apps from pharma as ‘high’ trust. Where next for pharma apps? Deloitte’s report painted a stark picture of how little traction pharma health apps have gained. Of these, the Top 5 most popular pharma apps accounted for more than half of pharma app downloads. The implication is that apart from these top five pharma apps, with around 1060 recently produced, most will struggle to be noticed or used by patients. Are patient groups willing to co-create apps with pharma? 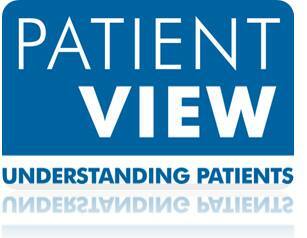 Whenever PatientView researches it, there are always patient groups willing, even eager, to co-create apps with pharma. These relationships can be successful and result in well-established, popular apps, such as MyAsthma funded by GSK with patient input from Asthma UK. 28 out the 190 patient groups surveyed by PatientView, more than 15%, had already co-created apps with pharma. ‘Pop-up’ advertising within the app.